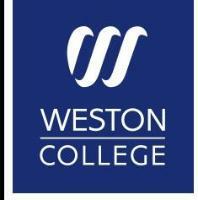 Weston College has transformed itself in the last twelve years and has been named the top Further Education (FE) College in the country. This phenomenal achievement follows an Ofsted inspection, where the College was rated "Outstanding". The College supports over 1,000 young people each year who have additional support needs on Further and Higher Education courses. Their innovative specialist support model enables them to deliver high-quality, personalised support programmes that effectively meet the needs of alltheir students with additional support needs. Learning support and local offer.